Well, I beg to differ for a number of different reasons, partly because I’ve coincidentally been reading a 1926 article by Willard Huntington Wright — better known to mystery connoisseurs as S. S. Van Dine, author of the Philo Vance novels — called The Detective Novel in which he appears to specifically disavow the relationship of the detective story to the cryptic crossword. 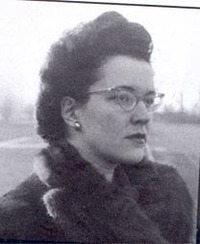 Many years ago, I remember reading The Horizontal Man by Helen Eustis, published in 1946, and said to myself, “Well, THAT was the end of the Golden Age of Detective Fiction.” I remember thinking that it seemed to me the the first time that what then might have been called “abnormal psychology” formed a crucial part of the solution to a mystery, and that it was the first mystery where the solution might not have been understood by one’s maiden aunt (and certainly would have met with violent disapproval). I’m not absolutely sure that that novel remains my choice to signal the end of the Golden Age; I’m starting to think that it was more of a slow, gradual fade-wipe between one style and another. 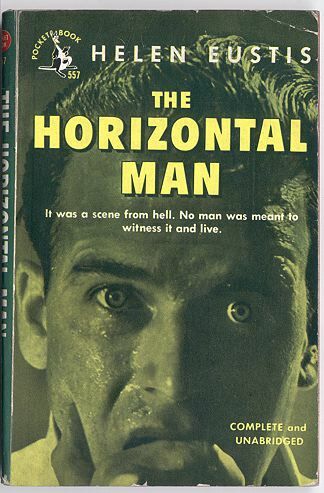 And I’m also not prepared to say authoritatively that The Horizontal Man is the first such novel (I’d want to re-read Solomon’s Vineyard by Jonathan Latimer and do quite a bit more research); that’s just a memory of my moment of awareness that the Golden Age actually did come to an end. 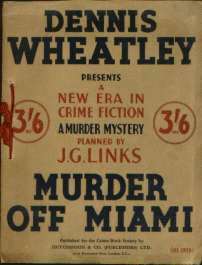 I could be persuaded that the beginning of the end was prefigured by the 1936 publication of “Murder off Miami” by Dennis Wheatley and J.G. Links — the first “dossier novel”, which seems to me to more accurately represent Ripley’s point about the detective novel being reduced to a kind of abstract game experience. 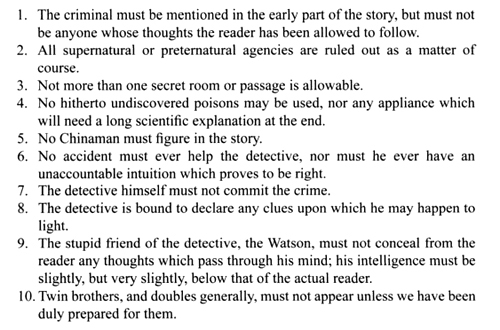 And yet, if that is the case, how are we to feel about Ellery Queen’s “Challenge to the Reader”, wherein the fourth wall is broken and the mystery is revealed to be, after all, an artificial puzzle? There’s an article in Wikipedia called “The Golden Age of Detective Fiction” which offers Julian Symons as a reference such that the Golden Age was “the Twenties and the Thirties” and suggests that Philip Van Doren Stern’s article, “The Case of the Corpse in the Blind Alley”, from 1941, “could serve … as an obituary for the Golden Age.” I was considerably amused by the “talk page” accompanying that article where some pompous little oaf waggles his finger and says that, because a Yahoo discussion group thinks it’s 1910 to 1960, so it must be or else “Wikipedia will have egg all over its face.” And yet the very blogging challenge in which I’m participating, the “Vintage Mystery Bingo” challenge, agrees with 1960 as the cut-off date. Honestly, I think 1960 is just ridiculous. These people are confusing the continued publication of puzzle mysteries with their membership in a literary movement. This is rather like insisting that, because people still continue to ride horses, therefore the horse and buggy are still a viable form of transportation. I suspect that a great deal of the reason that the Yahoo discussion group wants the boundary to extend to 1960 is because they want to discuss books that they enjoy, and some of them fall outside any logical boundary; just because Ngaio Marsh and Agatha Christie began working in the Golden Age doesn’t mean their entire oeuvre defines the Age ipso facto. I’d prefer a more logical boundary than mere personal preference. However, I will throw this question out for discussion. 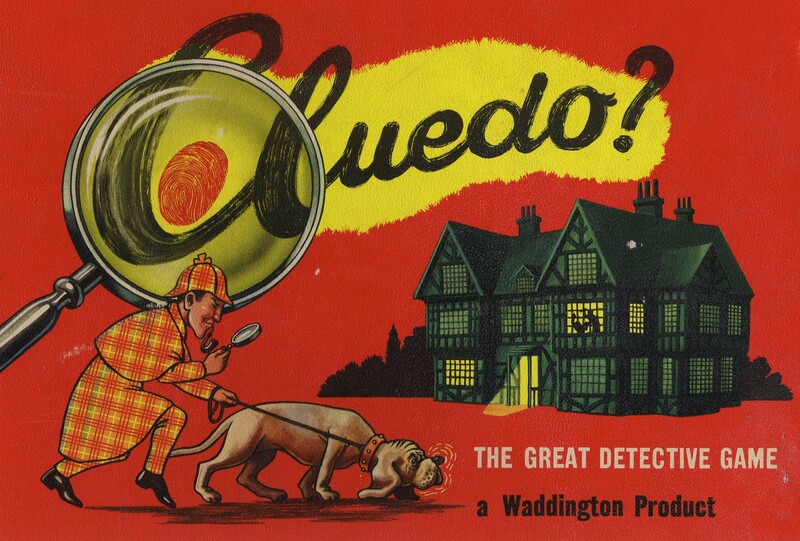 Do you think there is a particular event that precisely defines the end of the Golden Age of Detective Fiction? If it’s a particular book, which one? Perhaps that might be a year, or a range of dates; what might that be? And if you think that 1960 is the correct date, why on earth do you think so? Postscript, later the same day: And, as if upon cue, another mystery-oriented blog I follow, Beneath the Stains of Time, today had a post wherein the opening sentence is “The year 1920 is generally accepted as a semiofficial starting point for the Golden Age of Detective Fiction, which witnessed the debut of Agatha Christie and Hercule Poirot in The Mysterious Affair at Styles, and the rest, as they say, is history.” And I’ll accept that very sensible statement backed with sensible evidence. So the starting point is 1920; thank you TomCat!